Some could opt for early retirement. Consider this: before taking a pay cut out of respect for their supporting cast mates, five of the main characters were pulling in $1 million per episode just in show salary alone. That’s no surprise considering the show has been nominated for 52 Emmy awards over the years, and won 10 of them. In 2017, Jim Parsons who plays Sheldon Cooper, was TV’s highest paid actor, bringing in $27.5M. His co-stars took spots 3-6 as well, with Johnny Galecki (Leonard) bringing in $26.5M, Kaley Cuoco (Penny) and Simon Helberg (Howard) at $26M, and Kunal Nayyar (Raj) at $25M. To put this into even greater context, the next actor at spot #7, brought in $6M less than Nayyar. That’s a lot of money. The gang could buy a lot of vintage comic books or sci-fi memorabilia with that kind of dough. Now, chances are you’re not (but maybe you are) an actor, portraying a physicist or aerospace engineer on one of the most popular sitcoms in modern television history. That would make for a highly specific article. Perhaps you also don’t consider yourself a high-net-worth individual. That would eliminate many of us. Regardless, this cultural phenomena and Whittier Trust’s knowledge of time-tested, sound financial expertise have collided (BAZINGA!) to provide readers with our smartest and most usable counsel for the immediate, short-term and long-term. 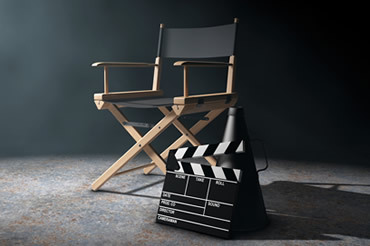 Hollywood is littered with unscripted stories of careers that have been a big bang of success, but because of financial mismanagement on the part of advisors, their finances ended up a big bust (Ben Stiller, Elton John and Nicholas Cage just to name a few). We presume the cast is both intelligent and competent (Mayim Bialik is a published author with a PhD in neuroscience, for goodness sake). But, we’d be remiss if we didn’t state the importance of carefully selecting advisors. It’s no longer good enough to simply have a money manager, you want someone who will act in a fiduciary capacity, obligated to put the client’s interest first. It’s a good idea to check with your financial advisor to see if they adhere to a “fiduciary” standard as most retail brokers are held to a lower “suitability” standard. Taking time to assemble the right team, comprised of an estate planner, accountant, attorney, insurance professional and wealth manager, will set you up for short-and long-term success. Once the advisory group is settled, assess all of your current assets. Then, conduct a big picture overview, so you can plan for the future in a way that maps to your goals. A good advisor will encourage you to spread your assets across a variety of asset classes, including stocks, bonds, and investment real estate. Be realistic when speaking with them. Consider yourself a big spender (like Johnny Depp’s penchant for $30,000 of wine per month)? If so, having a CPA or bookkeeper track expenditures mapped to a budget can be enormously helpful. Being intentional with your savings and spending is guaranteed to serve you well. We mentioned earlier that after successful run, these actors may consider turning their talents elsewhere (we’ve heard that Cuoco’s production company, Yes Norman Productions, already has a few projects in the works). Nonetheless, after rigorous shooting schedules and the glitz of Tinseltown has worn off, many decide to take a break, or go in another direction. If moving out of California to live a simpler, quieter, less-taxed life is on the radar (although NYC is no respite for Parsons), take this into account: the California state taxing authorities are extremely aggressive in going after individuals who claim to relocate, but actually fail to do so. Any competent advisor can guide you and avoid running afoul of the law. Looking to escape to places with no state income tax, like Washington state? If your intention is a long-term stay, beware of additional laws, like the estate tax, which starts at $2 million in assets and taxes ranging between 9-20%. A great personal brand can take you far. If you’re considering quitting at the top of your game to pursue a passion or take your talents elsewhere, you’re not alone. This could be the opportunity to pursue work that’s not as commercially successful like roles on Broadway (as Galecki and Parsons have done…or off-Broadway like Nayyar), working in underserved areas helping a community, or interning for a politician like Derrick Dockery once did. John Glenn who first orbited the Earth before serving as a US Senator from Ohio for 24 years. The sky’s the limit (after all, Glenn did go back into space at the age of 77). We should note, that although each of these actors are incredible talents in their own right, they may fall prey to typecasting after being on such a popular show for so long. So could anyone else after transitioning from a particular specialty or field.So, before taking that leap, ensuring you can first afford to take the risk will pay off. That means learning to live within your means (yes, even for those with substantial funds), understanding what your assets will generate on their own, and budgeting the amount that you can spend during this transitional time. What it doesn’t mean is returning from a 2-3 year hiatus with no plan. Be thoughtful about how your brand can usher in new opportunities and seek them judiciously. As time marches on, we’re left with what’s truly important: family and friends. Taking advantage of the increased federal estate tax exclusion amounts to make gifts to your children in trust is an option. But, setting up trusts in a state with friendly laws and no state taxes is even better. Nevada (close to home), or Delaware are two great options for this. The federal tax law enacted last year doubles the amount (from $5.49M to $11.18M) you can shelter until 2025, which can allow you to transfer assets out of a taxable estate so your money can grow to fund future needs. Close to your niece or nephew? Have a sibling that has been wanting to go back to school? Gifting wealth through education is a great use of your assets and one that we’ve written about extensively. Luckily, you can also include immediate family here too. Bill and Melinda Gates, Leonardo DiCaprio, Shonda Rhimes, Dikembe Mutombo and many more are being recognized for their charitable contributions, and commitment to causes bigger than them. Is giving away some, or all, of your wealth a priority? A good advisor can play a critical role here in navigating these waters. Is managing your money easier with highly qualified experts at your beck and call? Does that mean that wealth management and growth are out of reach for the average American? We may not all live to see our names in big lights, scrolling on the screen or hanging in the rafters of an arena. But these tips can certainly illuminate a path of financial clarity.